Growing up with a big family is fun, but when the source of income is very limited its so hard.. I grew up in a very poor family, with 8 siblings and self-employed parents. 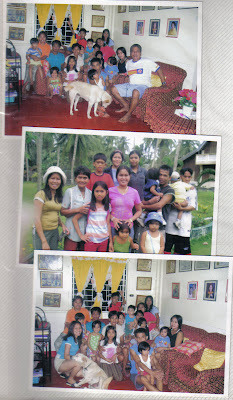 Our life in Ligao Albay (my father's hometown) was good. Rice field is the main source of income and we lived decently from it. Our hardship in life started when a tragedy struck us. Papa got involved in trouble that led us to moved in Mama's hometown in Donsol Sorsogon. From then on our lives were a misery. The only source of income there is fishing but since Papa don't have any experience about it, it was so hard. We struggled so much. Papa kinda lost his will to work, he got hooked up in drinking alcohol so much. Mama have to do something and help Papa go on with our living. Mama cooks variety of snacks made from different root crops like cassava, sweet potatoes (kamote as we call it), and bananas. I helped by selling them to houses in our neighborhood. I graduated in Elementary doing the same kind of stuff in order to get by. Growing up with such kind of living made me build dreams. Dreams that so impossible to reach but I told myself that I have to do something so I won't have to endure the same path of poverty. I know that if I believe in myself, have faith in God and keep on going on, I can make a difference. Hello, I stumbled upon your blog while searching about Ligao, Albay on google. I grew up there and it's nice to read from someone who've been through hard times and now living a better life. I can somehow relate. Have a nice day. Thanks for sharing! Interesting beginnings! Di mo rin akalain na mapupunta ka sa comfortable life. Very inspiring post, and awesome blog!! Keep updating and sharing your story! I hope you can stop by my blog sometime as well! u are big family too like me rose. we were 10 siblibgs, lol. i came from a poor family, too. u are right sis, we can make a difference in our lives with Gods grace. thanks for sharing.Poverty is not the hindrance of success. We have the same lifestyle tsang back home, We sued to live out in the country and we were just lucky that my father had a regular job at Del Monte. But just like you we planted crops and stuff to help out and go to the woods to get some twigs used for cooking, and of course sell food at school para may baon hehehehe. Anyway, you are a great sister, your sissy's and bros are lucky to have a responsible, sweet and kind sis like. Ang hirap yata ng role ng panganay, para ka rin nanay, do all the chores at iba pa. Kaya noon nagtatago ako sa mga gawaing bahay tsang hehehehehe. Kasi kahit panganay namin lalaki, ayon sa plasa nag babasketball, ako yong tagabuhat ng mga botelya, tagagawa ng chores niya kahit kilos lalaki minsan na naging bakla waaaaa buti nlang nagka anak pa, akala ko tuluyan ng naging bakla nawala ang matres hehehe. Pero tsang bakla saludo ako sayo, you really made it in life, and you are so lucky to have found someone who understands life and love your forever. Cge lang tsang pag yumaman tayo bili tayo ng palasyo na kasing laki ng korea or kahit pinas mn lng, pibring tirahan ng clan natin waaaaa. libre mangarap bayot go go go. Nakaka-touch and yet nakaka-inspire naman ang story mo.. marami akong nakilala ditong pinay na almost same po ng story nyo pero sa dami ng mga kakilala at kaibigan ko, mas marami ako natutunan sa kanila about life. Mga parents ko din lumaki din sila mahirap. May kanya kanya talaga tayonng struggles sa buhay. Nwei, Im loving your blog talaga.. keep on inspiring us. 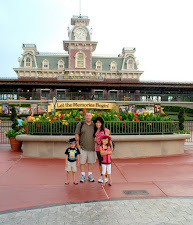 I know while you're blogging this, sobrang namimiss mo ang family nyo back home. Rose, keep it up. You know that I salute you for the milestones that you accomplished. Way to go girl. Just check it okay? Hoping you can add my three blogs too and follow. I did already hahaha. look at you now...God provide you all the stuff you dreamed of...you deserve it sis....God is really good. Thanks for sharing your family story... You've throughed the hard times, but you survive, don't you? Glad that you did not loose hope. That you have been strong for your family. I know that you have been striving give a good life to your family. God will bless you more ate Rose. I love reading your posts palagi. They are always from the heart and always inspire me. I really thank God for letting me know you! I cherish our online friendship! mwah! thanks for sharing.like you, i grew up also in a place surrounded by ricefield. although we didnt depend our living on it but we worked hard for it to have a little bit extra especially that we were 3 in college and my father is the only earner in the family. I have an award for this blog in my blog fusion blog tsang grab it kapag hindi na busy heheh. have a good mownin! This is very inspiring, Rose. All your hardwork paid off. was her once again :-)have a great weekend! cge makiagi and add ko ito,..